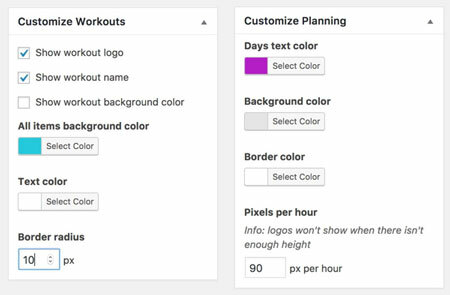 You can decide to show workout logo, name, and change text and background colors in the back-end. It is also possible to change start/finish hours and add custom workout and coaches. Fitness Schedule comes with 13 popular workout classes for you to get started. Fitness Schedule is a paid plugin by maximebj. More info is available here.